There was no shortage of celebrities at Wednesday night’s L.A. Kings hockey game, Charlie Sheen, Taylor Swift and Will Ferrell were all in attendance — but one celebrity pairing especially caught our attention. 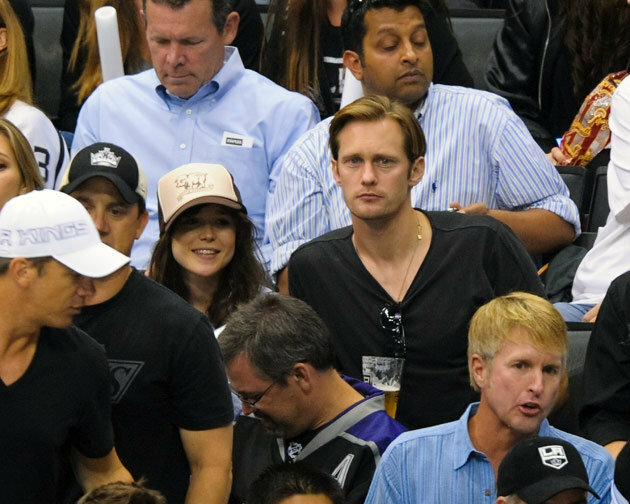 True Blood and Battleship star Alexander Skarsgard was spotted with Juno actress Ellen Page at a Stanley Cup Final Hockey game. The pair arrived in Alexander’s porsche for the Game 4 at the Staples Centre where they watched the Los Angeles Kings and the New Jersey Devils face off. The also left the game together. The duo filmed East last winter, but this makes the first appearance of their public outing. 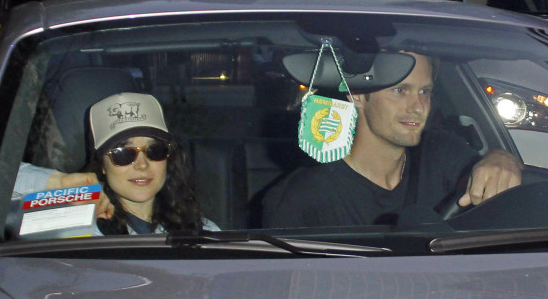 Alexander and Ellen both left the game together as well, speculating dating rumours. Do you think the Canadian cutie and the hot Swede would make a good couple?